The Arizona Department of Health Services recently released their set of guidelines for school gardens. They’re still in draft form, but even so have far-reaching consequences. We’ll attempt to break them down for you, in a sort of FAQ style. Who is affected by these guidelines? At this point, only schools. And if you’re a school selling the produce at a farmers’ market (your own or someone else’s), you should be exempt, as long as your produce is whole, uncut, and unprocessed. The guidelines are meant to regulate schools who aim to serve the food in the cafeteria, or any other type of “food establishment.” Serving in the classroom is a bit of a grey area, from what we can tell. Are the guidelines mandatory? How are they enforced? While they are still in draft form and are being called guidelines, they are mandatory. A school must first is encouraged to go through a School Garden Safety Training, which is coordinated by the University of Arizona College of Agriculture and Life Sciences Cooperative Extension Maricopa County Extension. 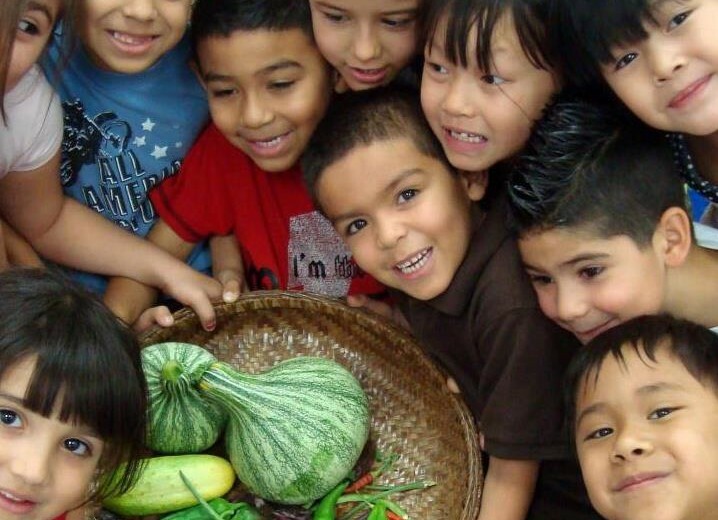 After going through the (optional) training, the school can request an inspection from the Arizona Department of Health Services School Garden Sanitarian and Health Educator, Kathryn Mathewson (602-364-3952). We’ve been told they are still open to changes, and the guidelines are in draft form. At the same time, attempts to provide input on certain guidelines have so far been unsuccessful. Why were these guidelines created? “Food establishments” are required to serve food from an “approved source” in the state of Arizona. There is, however, no definition for “approved source.” Absent that, ADHS has generally deferred to the State Department of Agriculture by encouraging farms to go through Good Agricultural Practices (GAP) training and certification. These guidelines, however, require a huge amount of documentation, testing, and other activities, all of which require an essentially fixed cost or amount of time, regardless of the size of the operation. In addition, inspectors are few and far between and charge by the hour, meaning an inspection for someone (esp. in northern Arizona, where there are no inspectors) can cost hundreds or even thousands of dollars. For all these reasons, small farmers, backyard gardeners, and school growers have considered GAP certification to be an overly onerous process. In 2011, the Pima County Health Department changed their interpretation of the food code to consider school gardens an approved source. Since then, ADHS took it upon themselves to further define “approved source” in the context of increased focus on school gardens. These guidelines create a standard for school gardens around the state, but do not apply to any other operation growing food. The use of school-made compost on edibles is currently banned by the guidelines. If it is used at all, it must be purchased commercially. The ostensible reason for this ban is that compost piles that are not managed properly–especially those containing animal products such as manure–can contain pathogens. The reasoning is that some of those pathogens may make their way into the food. Problems with this line of reasoning are numerous. If the underlying assumption is that compost is highly dangerous, that threat is being far overblown. Composting has been around for thousands of years and has been understood to be a safe process for decades within the scientific community. To suggest otherwise, as these regulations do, is anti-science and flies in the face of many institutions that encourage composting, such as City of Tucson, Pima County, ADEQ, the EPA and USDA. There is also the question of cost. Because of the low organic matter content of our soils (less than 1%), a 50/50 mix of compost is needed to start a successful vegetable garden. Purchasing organic compost for a modest garden of four 4′ x 10′ beds can cost upwards of $500 (with bagged compost from Home Depot). Soil amendment is a recurring need, so schools will continue to incur costs each season if they are required to purchase compost, making gardening an unnecessarily–and possibly prohibitively–expensive activity. At the end of the day, schools are not necessarily any better off acquiring compost from a commercial source, as there is no regulatory body that oversees composting in this country. (Apparently it has never been enough of a problem to warrant it.) In addition, the food that already enters the cafeteria is being grown with compost. Or if not compost, chemical fertilizers. Ironically, ADHS DOES allow chemical fertilizer use in school gardens. Hardly a safer alternative, but when an agency focused on food safety and biological disease outbreaks begins regulating farm practices, this is where we end up. The regulations allow “surface water” to be used if it’s tested at least 3 times over the course of the growing season. Surface water is essentially any rainwater that has run off and collected somewhere, usually in the form of a lake, stream, river, ocean, etc. There is no citation given for this claim. The American Rainwater Catchment Systems Association disagrees, however, stating that a properly designed system provides a source of clean water that is actually superior to most municipal water for growing plants, as it contains no ammonia, chorine, or flouride. In addition, in our desert area where soils are very alkaline, the relatively low PH of rainwater helps create a neutrally balanced soil and encourages uptake of essential minerals, making plants healthier overall. With simple best practices in place, schools can and should be harvesting water for use in gardens (vegetable, or otherwise), orchards, landscaping, etc. The guidelines require that non-latex gloves be worn by gardeners. Disposable gloves have become a standard in the food prep industry, and indeed, when dealing with ready to eat foods, they are the best way to prevent contamination. However, non-latex (we assume they mean “disposable”) gloves are inappropriate for use in the garden. Requiring their use prevents gardeners from using actual safety gloves where necessary and thus present a hazard to the child. Other versions of these guidelines referred to a non-latex disposable glove requirement when harvesting. This too seems, unnecessary at best, and harmful at worst. The state of Arizona already makes a special exception for whole, uncut produce to be sold directly to the consumer, precisely because produce in this form has little risks associated with it. Produce must, at minimum be washed, and in many cases processed in some other type of way, before it is consumed. It is, therefore, not a “ready-to-eat” food that requires the use of gloves. Additionally, in the hot climate of Arizona, disposable gloves encourage excessive sweating and may actually increase the chances of bodily fluid transfer. On being able to find child-sized non-latex disposable gloves, PCFA’s resident Chef Elizabeth Mikesell simply said, “good luck.” Hence, from both a safety and a practical standpoint, this requirement makes little sense. While we applaud ADHS for its attempt to make food production safer, we suggest they seek input from those actually working with students and those engaged in food production–teachers, school and backyard gardeners, and farmers. What’s your opinion on the matter? Leave us a comment a below. 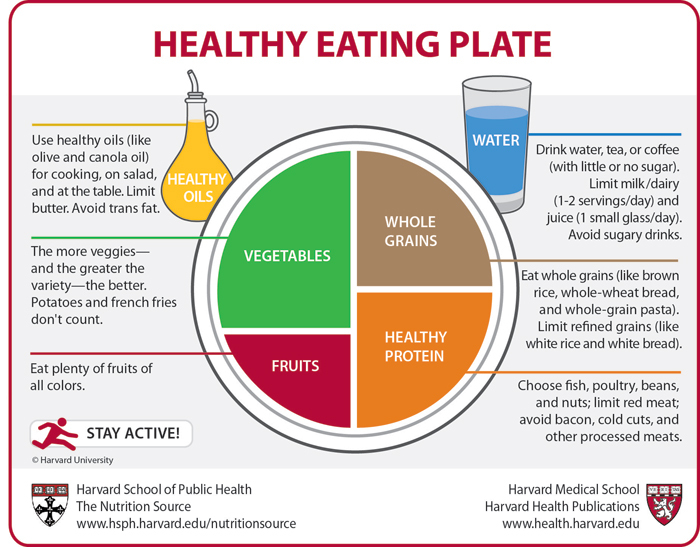 During our MyPlate project—our attempt to experiment with USDA’s MyPlate project in our local food context—some tough questions came up. The first question was, obviously, “What does local mean?” We also grappled with the oft-criticized decision by USDA to include milk as its own, separate component. What follows is a brief description of those debates we had, and the guidelines we came up with for this project. Question 1: How do we define local? We chose to define local loosely, to mean, anything you can grow in the immediate area surrounding Tucson. Considering the vast elevation differences between the desert floor (~2000 ft above sea level) and some of our mountain ranges nearby (~9000 ft above sea level), coupled with varying weather patterns, we actual have a pretty broad scope of ingredients to choose from during any given season. That said, we tried to, for the most part, to ask the question, “Could I grow this in my backyard during x season?” as a way to answer this question. Question 2: What about native or heritage foods? We chose to differentiate between local foods—anything that can be grown locally—and two other categories of food. Native foods are foods that are indigenous to this area and have been around for hundreds, even thousands of years. We decided to also pay respects to the slew of foods brought over during the 1600 and 1700s (starting with European explorers and missionaries) that later became part of the local and cultural food ways. We called these foods heritage foods. Question 3: Is there a breakdown of ingredients by season? Yes! Keep in mind this is a work in progress, and may contain mistakes here and there. But if you’re interested, check out our google doc of local, native and heritage foods by season. Question 4: How strictly should we adhere to our definitions in acquiring our ingredients? We we were not strict on basic spices and oils. For ingredients that we felt, somewhat arbitrarily, should be considered “main,” we stuck to the “can it be grown/produced here” rule of thumb. 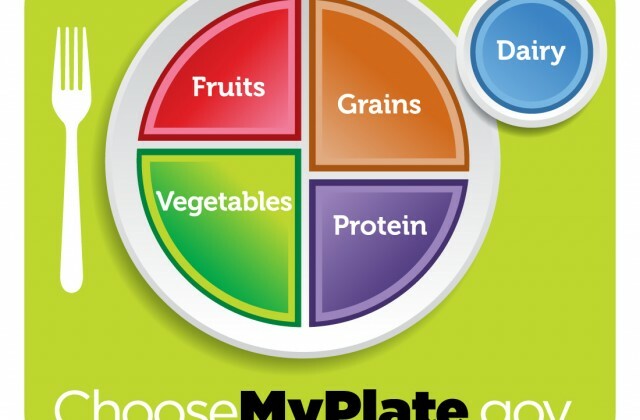 Question 5: Why is there no milk in your MyPlate meals? Leadership Council Applications: In Process! 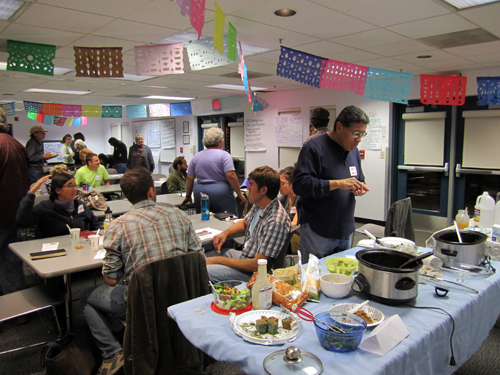 The Pima County Food Alliance is excited to announce that it has new openings on its Leadership Council. This is a great opportunity for community members to continue leading in the development of a vibrant and just food system in Pima County! Please take a look at our Leadership Council Announcement and Application if you’re interested in applying and get back to us by the end of the day on Sunday, January 13th. We’d love to hear from you! In case you’re curious, here’s a look at the 2012 PCFA Leadership Council, many of whom will be staying on. At last night’s TUSD Governing Board, the last of the year before a newly elected board takes office, board members voted to close 11 schools as part of the $17 million budget shortfall. The issue is undoubtedly a complicated one, but the PCFA decided to take a stand on behalf of one school, because of the ground-breaking Farm-to-School work it’s been doing. That school is Manzo Elementary, located on the west side, in Barrio Hollywood. It is one of a small handful of schools that will, in the coming year, be in a position to grow a substantial amount of its own food and serve it through the cafeteria. Our leadership council wrote a letter to the Tucson Unified School District Governing Board, vocalizing our support for the school — one of an original 14 schools slated for closure. Nick Henry, a PCFA Leadership Council member, attended an open meeting on Dec. 8 and read our letter from PCFA aloud to the Governing Board. In addition, Manzo parents spoke out, making an eloquent case for the ecology program there. Letters of support poured in, and leaders at both the Community Food Bank and the University of Arizona made known their concern about the potential closing. At last night’s meeting, TUSD recognized this outpouring of support, and acknowledged the community’s investment, even putting a dollar amount on it ($200,000 in equipment and infrastructure, made primarily by partners and fundraising done by the school itself.) They unanimously voted to keep Manzo Elementary open, with the recommendation that the school become a district-run charter, a status that would enable it to garner more funds from the state, but may not substantially change the programming there. While the Manzo decision was a relief to all of those involved, overall, it was a sad day for education in Arizona. Wakefield Middle School, another school that’s been doing AMAZING work in this area, was among the 11 the board voted to shut down. Three more schools on the west side (Brichta, Menlo, and Maxwell) will also cease to exist, at least in their current forms. This round of the battle is over, but there will probably be more to come. Next month, two new board members (both of whom campaigned on a platform of NOT closing schools and are replacing pro-closure members) will take office. They may well have something to say about this, and a decision to close any school still has to pass desegregation criteria based on a judge’s approval. We will keep you posted. In the meantime, thanks to all those who came out in support of Manzo and its innovative Farm-to-School Program.